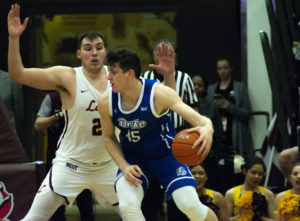 The Loyola men’s basketball team (15-9, 8-3) remains at least tied for first place in the Missouri Valley Conference with an 86-64 win over Drake University at Gentile Arena Tuesday night. 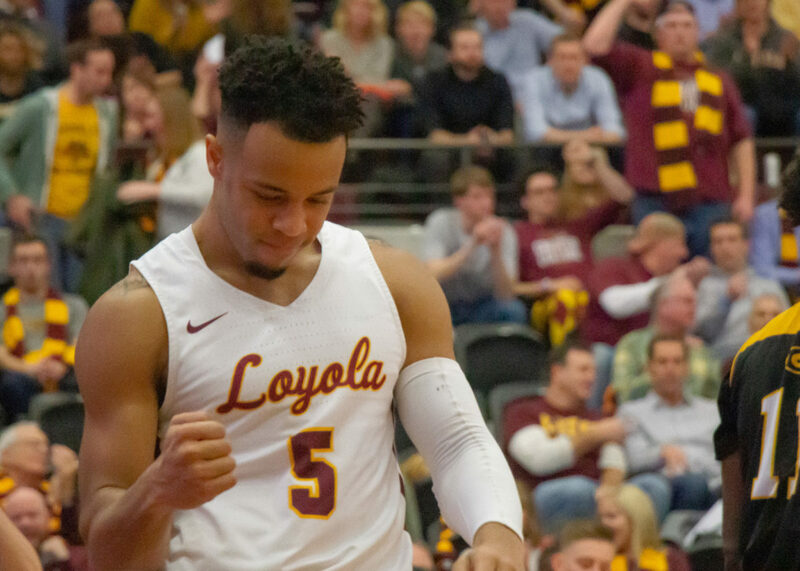 Loyola redshirt senior guard Marques Townes finished with a career-high 32 points, including 21 points in the first half. Three other Ramblers finished in double figures in scoring. Cameron Krutwig put up 19 points while Clayton Custer had 14 points. Cooper Kaifes finished with 12 points — including a 75-foot buzzer-beater to end the first half. Next, Loyola is scheduled to take on Valparaiso University Feb. 10. Tip-off is scheduled for 3:00 p.m. and the game will be broadcasted on ESPNU. Great win! My only concern is why Coach Moser left his starters in the game after it was decided. Having Williamson on the bench with a game induced broken hand and seeing Krutwig laying on the floor with a bloody nose (luckily it wasn’t broken) you would think Coach would want to make sure no player suffers an injury in a game that is already decided. Now let’s try and make it two in a row!